Presbyopia is the only sight condition which affects 100% of the population after a certain age (in general from 45 years old). Presbyopia surgery using a laser (femtosecond Lasik) or intraocular implants allows the symptoms to be corrected. Presbyopia can be associated with other visual deficiencies (myopia, astigmatism or hyperopia). 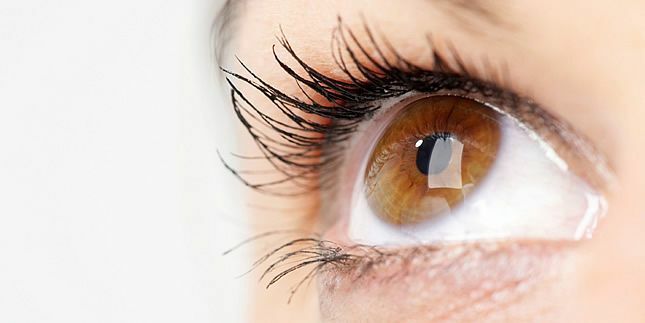 Presbyopia is caused by a loss of elasticity in the crystalline lens (the lens inside the eye which becomes rounded to create a magnifying effect allowing us to see close-up and reduces its roundness when we look into the distance. The crystalline lens allows us to see clearly close up and at a distance). When it loses its elasticity, the crystalline lens cannot contract and thus loses its magnifying glass effect to see close-up. As a consequence, the patient is obliged to move objects further away from their eyes to see them clearly. The symptoms of presbyopia resemble those of hyperopia (like with hyperopia, the patient has trouble seeing close-up and finds it easier to see objects further away). This explains why hyperopic patients become presbytes earlier than other individuals. This consists of adjusting the two eyes differently – one eye will see better far away and the other close-up. Note that this is already the case for most people (the two eyes never see in exactly the same way). The patient thus “balances” between near-sight monovision with one eye and far-sight monovision with the other, allowing them to see clearly both close-up and far-away. The brain compensates for this and the patient does not notice the difference. This method is often chosen for presbytes who are also myopes. It is necessary to check that the individual can effectively stand the difference between the two eyes (which is generally the case). A certain fatigue can set in when reading for a long time, which sometimes requires the patient to wear glasses. 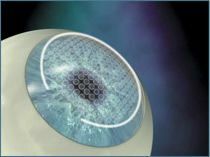 This consists of fitting a small implant inside the eye to allow near and far sight thanks to the implant’s “multifocal lens” characteristics. This method is often chosen for presbytes who are also hyperopic. This is a more invasive operation, even though it is up to date. It is more expensive as it is a longer operation and the material (implant) is more expensive. As with laser treatment, prices are lower abroad. This method consists of sculpting the cornea and transforming it into a “progressive lens”. 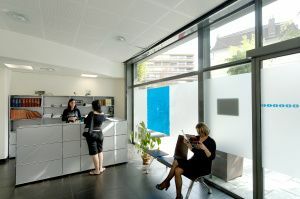 It is a delicate and highly personalised operation. Quite a long adaptation period is required (sometimes several weeks) and reoperations are more frequent than with the other types of laser sight correction. It causes a slight decrease in the sharpness of vision when looking into the distance. For these last two reasons, we only recommend this treatment for very specific cases. Why choose Novacorpus Laser Vision Correction? Save up to 75% compared to UK surgery costs with our guaranteed price. Access world-class quality accredited eye clinics and latest medical technology. Benefit from top specialist surgeons selected by Novacorpus, the only medical tourism company founded and directed by a medical doctor. Speak English with our concierge service and all our doctors (no translators).